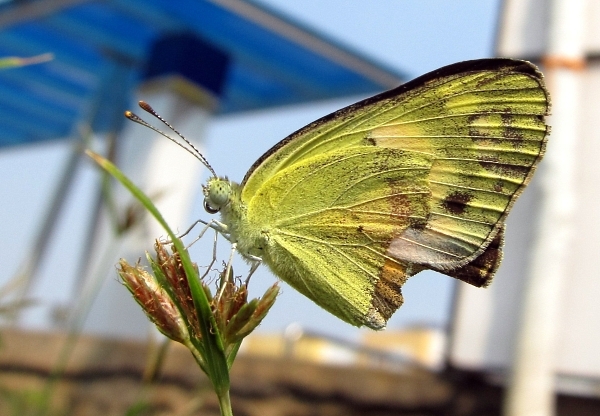 This species looks far more like a Colias butterfly than what you would expect of Colotis. This is reinforced by the general appearance of the upperside in flight - though the yellow is very deep, and tinged with pink - and by the fact it always rests with its wings closed. 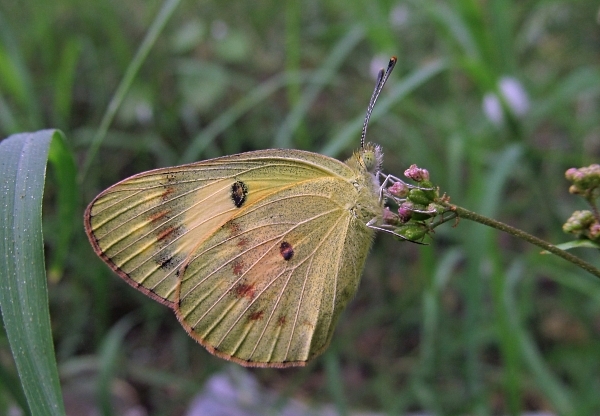 However, the wings are more roundedthan most Colias and it is in fact not so closely related. I saw it in both Mumbai and Tirupur.